The Jeld Wen Custom Wood window is the premium wood clad series and will offer more custom features, as well as a higher price tag than Jeld Wen's other wood clad options, which include the SiteLine, the W 4500 and W 2500. The Custom Wood window series, previously the Pozzi Series, is a nice wood window that is made with the same Auralast veneer, as is the case with the Siteline EX and Jeld Wen w4500 Series. Consumers can choose from a huge array of exterior colors options (41), 10 wood finishes, as well as a exterior copper cladding upgrade. Homeowners can choose from a number of different wood species, including mahogany, cherry, alder, douglas fir, pine, walnut, oak, as well as additional custom wood options. The wood used on the custom wood model is the AuraLast, which is a treatment "dip" that penetrates throughout the wood and protects from any rotting, decay and termite damage. The AuraLast comes with a limited lifetime warranty. Additional custom features include a number of different trim and divided light options. All in all, the custom wood window is quite a nice model given all the customization options available. However take a look at the performance section below to get a picture better of how the window will actually perform. 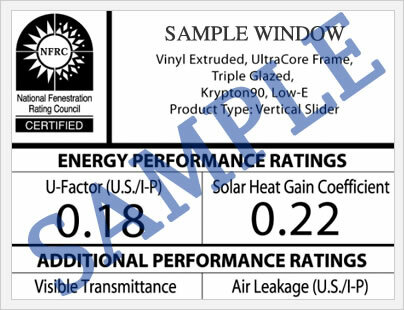 With the wood exterior and wood interior, along with a low E glass, no grids and argon fills, the Jeld Wen custom wood window should deliver approximately a .34 U factor, .27 SHGC and .45VT. 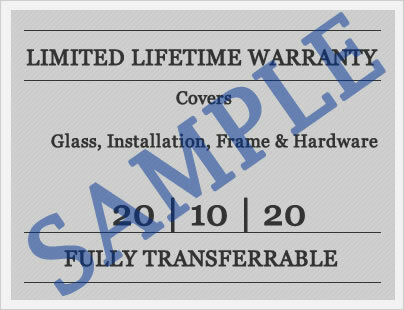 The Jeld Wen Custom Wood window comes with a 20 year warranty on workmanship and materials on the frame, parts and components. The AuraLast interior wood includes a limited lifetime warranty that protects against rotting and any termite damage that might occur. Do you have questions for our editors on the Jeld Wen custom wood window or any of their new construction and replacement windows? Submit your questions here and get answers to your trickiest questions. If you have purchased the custom wood window and would like to submit a review on this product, we would love to hear from you. Simply submit your reviews, whether they're good or bad, and let others learn from your experience.